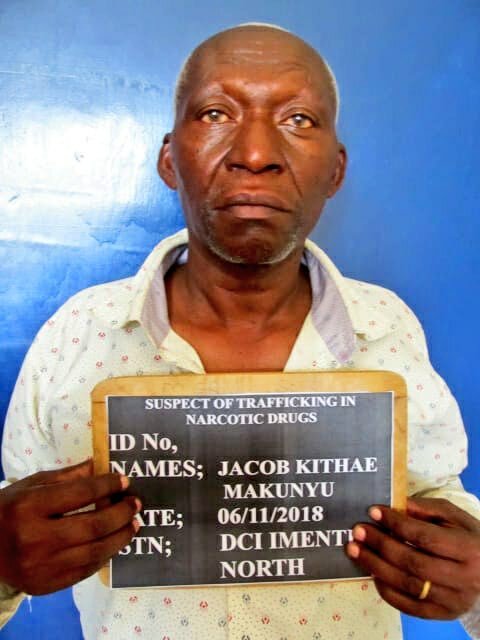 Police in Meru on Wednesday, arrested five suspected drug traffickers after they were found in possession of 103 kilograms of narcotics with an estimated street value of Ksh.3 million. The Directorate of Criminal Investigations (DCI) said the five; four men and one woman, were arrested at Konje estate following a tip off by members of the public. The five; James Igweta, Frida Kimani, Jacob Makunyu, Timothy Kinoti and Josphat Ekeno are expected to be arraigned on Thursday, November 8. 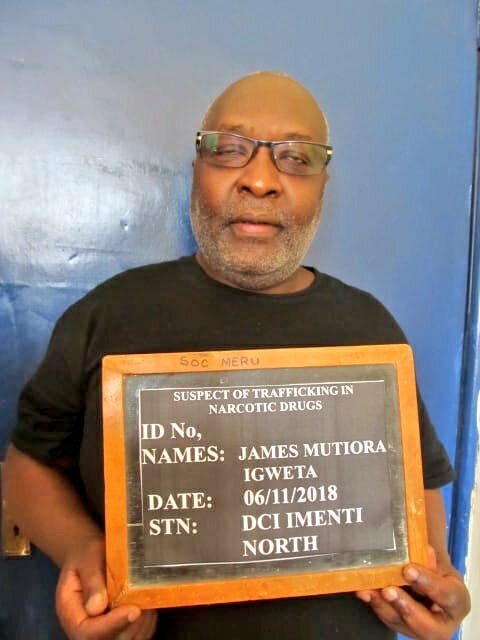 The arrest came two days after detectives nabbed narcotics worth millions of shillings at the Jomo Kenyatta International Airport (JKIA). The arrest has elicited different reactions from a section of netizens with most of them asking the police to go for the powerful individuals also involved in the lucrative drug trafficking business. These are mules. There are drug barons within the government you need to find out how the drugs get into kenya . They are now using the aged for Trafficking Narcotics to elude the public eye due to our usual empathy to old citizens. DCI also announced on Thursday that they had arrested an animal poacher with elephant tusks worth 12 kg. The man identified as James Muriuki and who is 43 years was arrested in Isiolo town on Wednesday.